It is a beautiful Sunday in February - so warm in fact that you would think it is April already! I am riding my bike downtown Zurich to meet the opera singer Laura Anne Ayres. With such spring weather, there was really nothing pulling me to the mountains. In fact, I am happy that there is no snow in Zurich - running is easier that way! 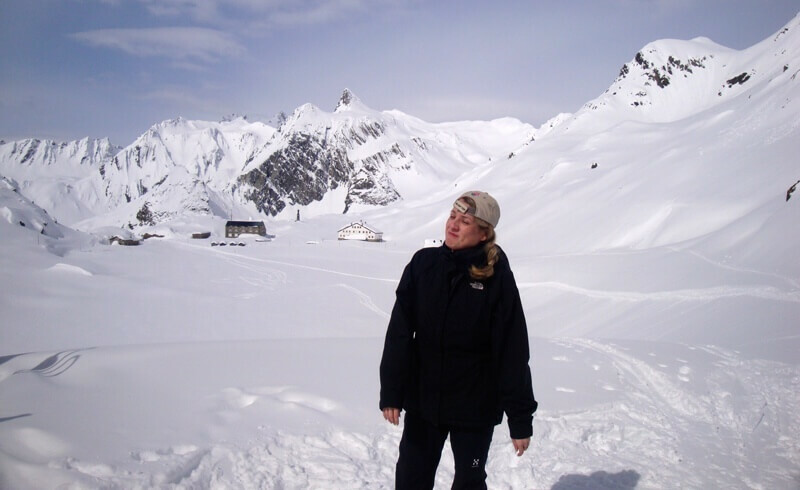 Laura Anne, despite coming from Texas, is disappointed with the lack of snow and wishes that it would snow in Zurich. While we are experiencing a lack of winter north of the Alps, in the south of the Alps it looks much different, and this is a little bit of the reason Laura Anne and I are talking. 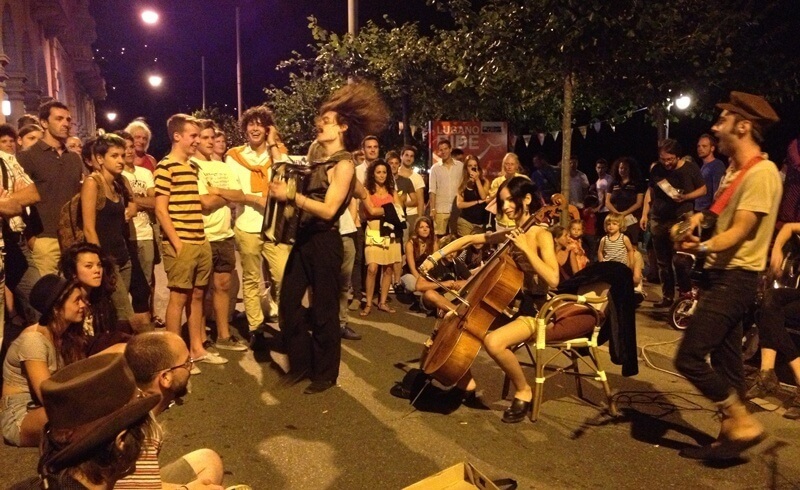 As we sit and drink ice tea instead of hot tea, Laura Anne tells me about her special project. Last year, needing a break and to see something new, her friend told her to visit the Great St. Bernard Hospice. The Swiss equivalent of a Buddhist Temple in Bali a la Eat, Pray, Love, Laura Anne fell in love with the place and quickly became a regular there. 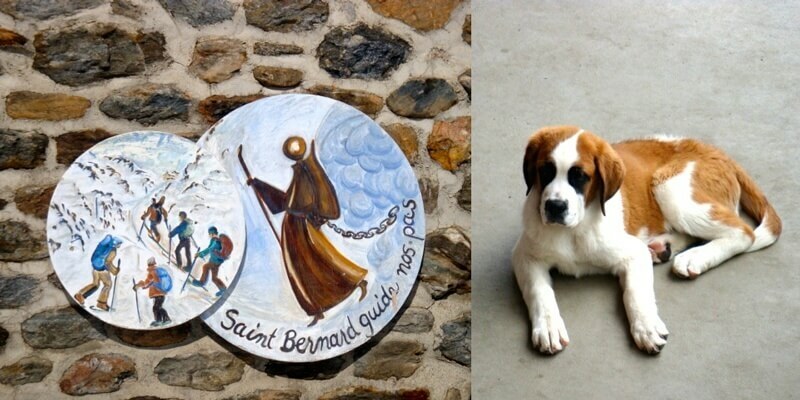 In the Valais on the famous Great St. Bernard Pass between Switzerland and Italy lies the Great St. Bernard Hospice. It is fitting that such an ancient hostel should be located on a route that has existed since the Bronze Age and was a regular Roman road. The first mention of a hospice on the route at 2469 m above sea level dates back to around the year 812. It was destroyed during a Saracen incursion in the 10th century though. Within 100 years, another hospice was built to offer refuge to travelers. And since then, the monks at the hospice have taken care of travelers making their way between Martigny (Switzerland) and Aosta (Italy). 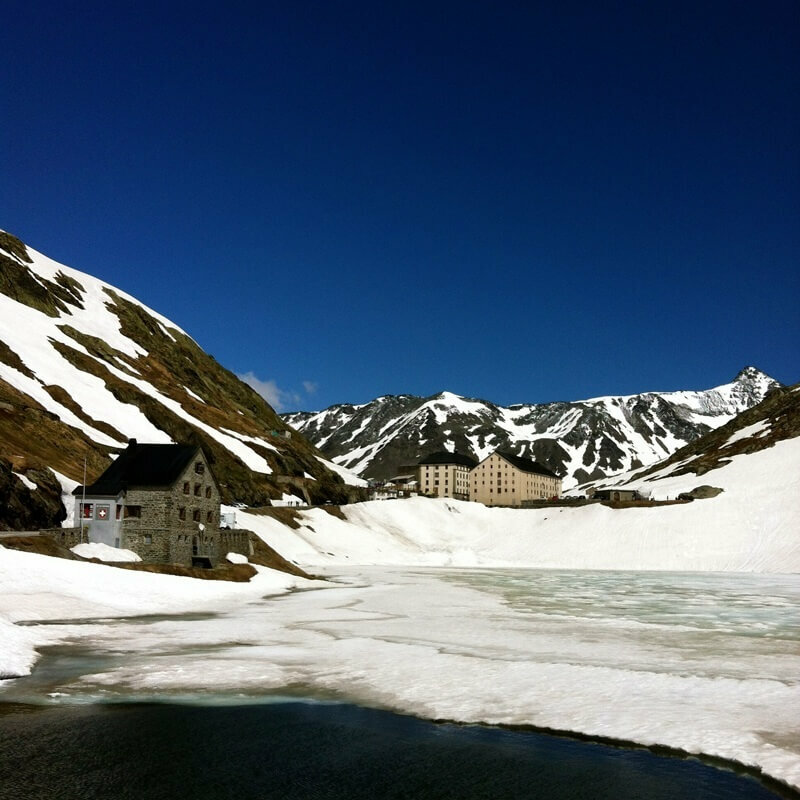 Today, the third highest road pass in the Alps runs past the Great St. Bernhard Hospice, and like all of the high passes, it is closed to car traffic in winter. 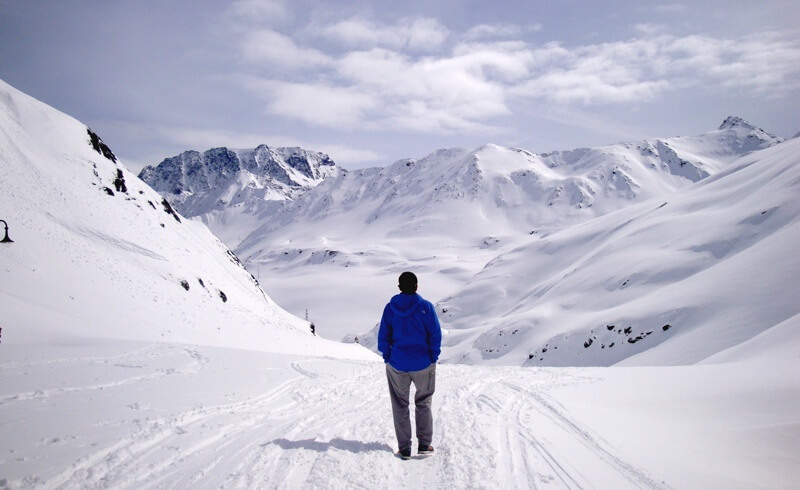 However, the monks at the hospice stay there all year round and materials are brought up via snow shoes and skis. With the hospice being over 1000 years old, more than a great deal of restoration work will be needed: Actually, keeping the hospice running and structurally sound requires lots of labor and money. 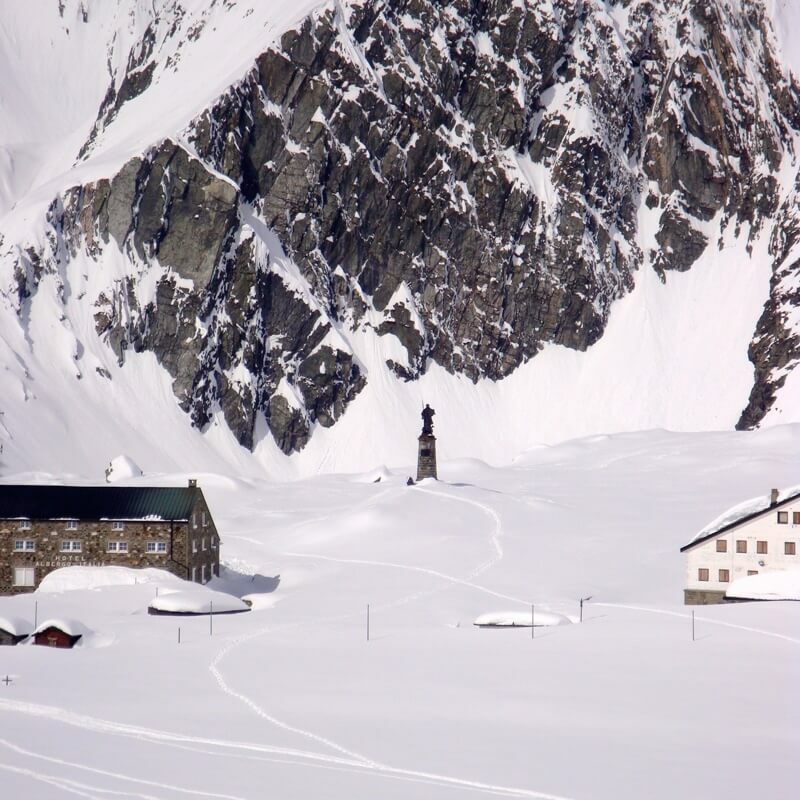 The hospice is not just a piece of Swiss heritage, but still acts as a refuge for travelers - often hikers or skiers. Laura Anne also told me that the hospice takes in troubled youth who might be potentially forgotten and written off in our fast-paced society, helping them get clean and get a fresh start to their lives. To help assure that the Great St. Bernhard Hospice will be around for another 1000 years to save travelers crossing the Alps and those going through life, Laura Anne is holding a special charity concert in Zurich on Sunday, March 2nd at 6 PM at Schloss Sihlberg. This is your chance to see a world class opera singer and the well-known pianist Iryna Krasnova play for your enjoyment and a good cause. 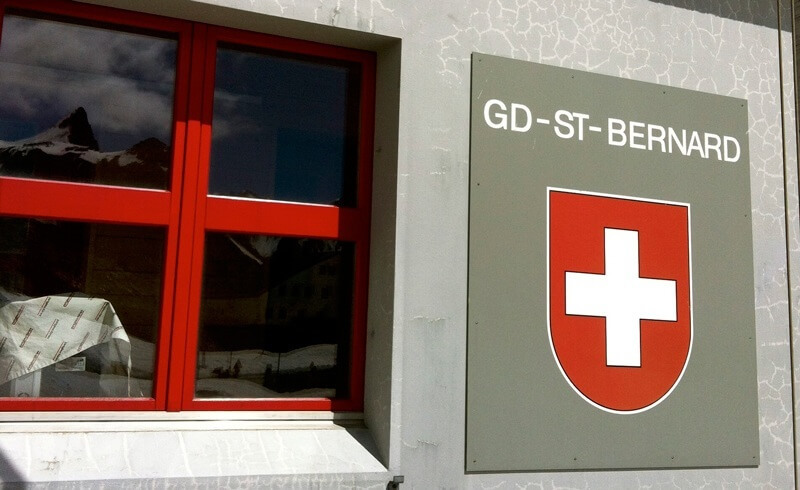 You will also have the opportunity to meet the Canon of the Great St. Bernard Hospice, which is hiking down to Martigny in order to take the train to Zurich for the concert. Any and all donations are welcome. Get there early as there is limited seating. More information.